View the webinar recording to learn how technology is solving the digital engagement and personalization problem for retail financial service providers. 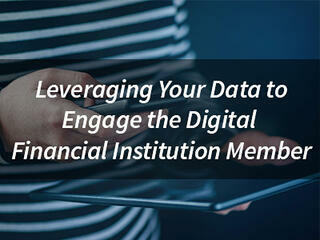 As branches empty and digital banking traffic expands, new engagement strategies are needed to help financial institutions uncover and serve individual member needs. The stakes couldn’t be higher as consolidation sweeps through the industry and fintech providers target financial institution members with unique and personalized experiences. Christian Klacko, COO, Micronotes: Christian is a serial entrepreneur and one of the co-founders of Micronotes. Before starting Micronotes, he was on the founding team of 3 other successful tech start-ups, including Nextel International and Akamai Technologies. Christian is a graduate of the Massachusetts Institute of Technology (MIT) Sloan School of Management. He is a native of France and speaks 4 languages fluently.